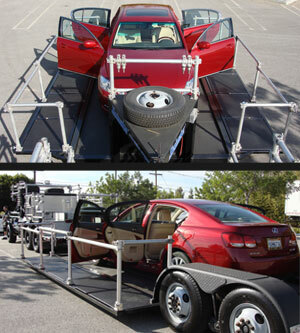 This trailer is designed to be towed by the Classic or Premier Plus camera car. At the touch of a button, the trailer expands from a traveling width of 8' to its shooting width of 11'0" (9'6" between the wheel wells). The platform measures 26'5" long and the height above the ground is just 12". 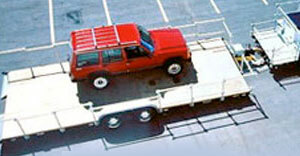 Gross weight capacity is 7,500 lb.